We have so much to offer you here at the Legacy. Our spacious facilities, various amenities/sports opportunities, and 6-acre lake surrounded by wooded hills with hiking trails, all beckon you to this tranquil setting. Whatever the season, or your length of stay, our dedicated, Christian staff offer you their best services to ensure that you have an enjoyable, wholesome experience. Our desire and prayer for you is that your spirit, soul, and body will be refreshed by God’s Spirit through our Lord Jesus Christ and through God’s creation..
Total capacity: approx. 600 people; Total staff rooms with 2 queen beds each: 12; Remainder of rooms is bunk bed rooms in which most have 6 beds each. (A few have 8). All rooms have their own A/C-heat units, restrooms and shower facilities. 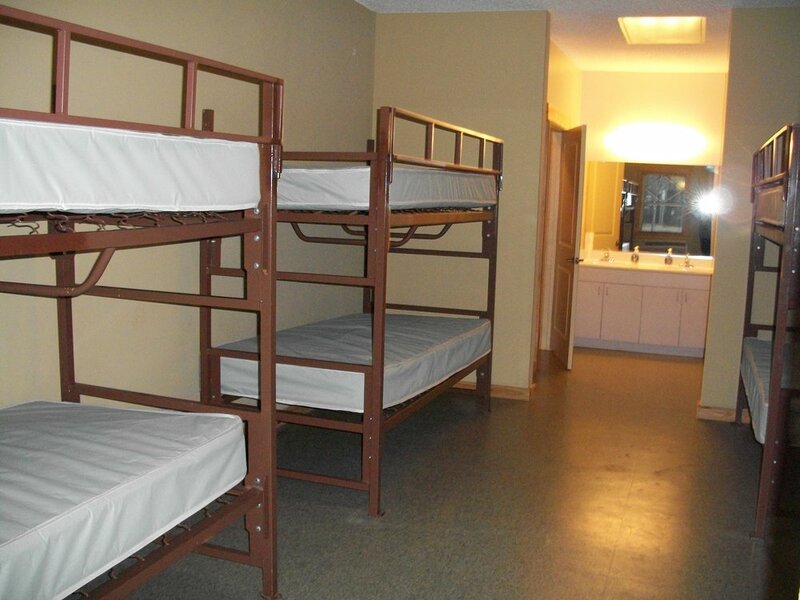 Several large bunk bed rooms can sleep 12 people and have 2 sets of restrooms/shower facilities. Total capacity approx. 600 people. You can use the center for different events and venues like worship, block parties, camps or retreats. Total capacity approx. 120 people. This room can be divided into 3 smaller meeting rooms if needed. Classroom tables, projector screen and portable sound system is available to groups using the upstairs rooms and 6 bunk bed rooms are located upstairs across the hallway from the conference room. A handicapped elevator is available. 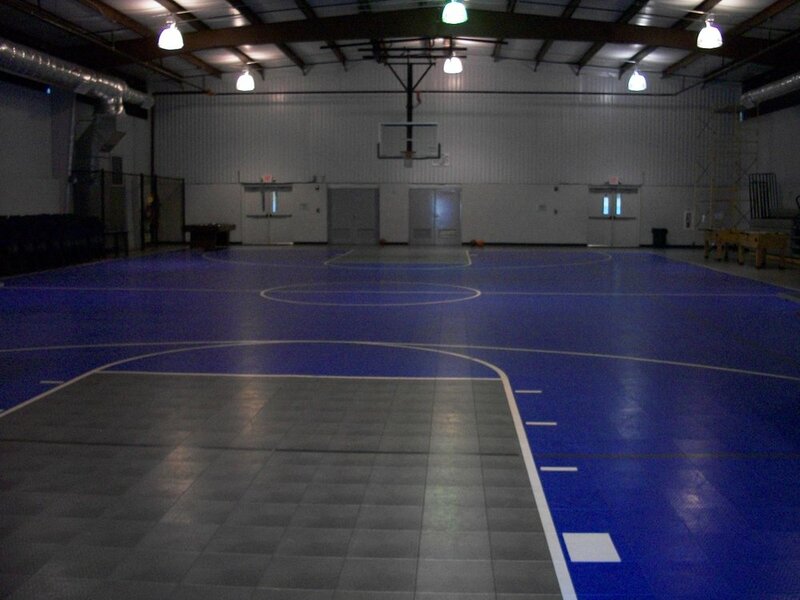 Groups of 40 or more may contract the facility on a “per person” basis. *Note: The three Legacy price options (listed above) are calculated at a bundled rate. The lodging, full use of the facilities and meals are economically packaged together. If a group selects a package, and chooses to omit a meal, the price, per person, remains the same. If you wish to rent The Legacy without meals, or wish to have your meals catered by another agency, you may choose the following option. Please note, due to state regulations, renters may not cook in the Legacy kitchen. The Legacy Usage Fee is $1,500 (per day). This price includes exclusive use of the gym, cafeteria, conference rooms, lake, and pool (seasonal – lifeguards are required). However, the package does not include hotel/staff/dormitory rooms for overnight stay. Note: The “Usage Fee” package cannot be broken down to rent particular areas, i.e., gym, cafeteria, etc.) Renters are not required to use these areas of The Legacy, however, they are included in the price. Hotel-Style Rooms: $50 per room usage fee, with an additional $25.00 per person, per night. Room includes two queen beds, private bath, linens provided. 12 hotel rooms are available for rent. Note: The “Usage Fee” package cannot be broken down to rent particular areas (i.e., gym, cafeteria, etc.). Renters are not required to use all areas of The Legacy, however, they are included in the price. HOW DO I RESERVE THE LEGACY? Please print, complete and return a reservation request form to: jan@ngacog.org. Upon receipt of your information, you will be contacted regarding the availability of the requested rental date(s). Once a date has been agreed upon, you will receive a LEGACY RENTAL AGREEMENT for signature. Once we receive your signed LEGACY RENTAL AGREEMENT and $500 deposit, the date will be confirmed on the Legacy calendar. (Note: Following the event, upon final inspection of the facilities, the rental deposit will be returned via mail.) 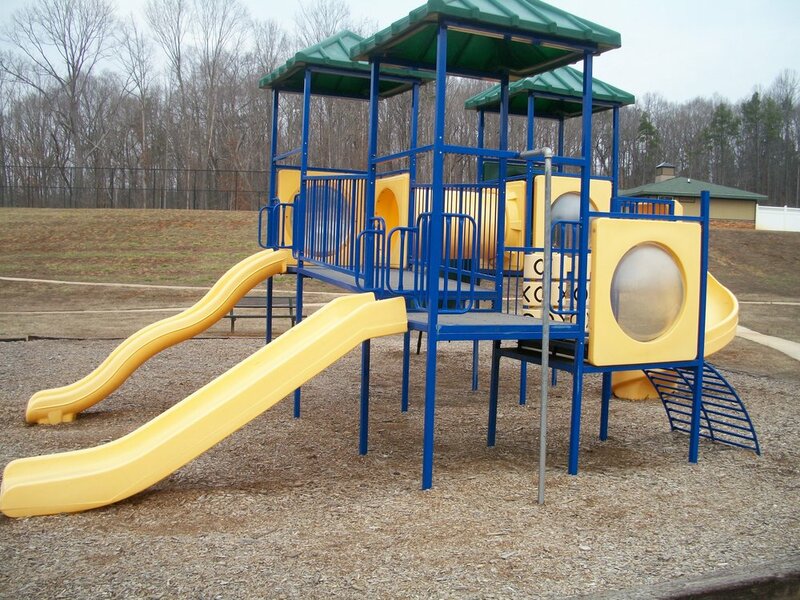 Note: To schedule a site visit, please contact Tim Garrett, Legacy Operations Manager: 770-841-0026.